April is Greener Road Trip Adventure Month. Join other Evergreen alumni and friends on our first stop through the Pacific Northwest. Click here to register for this rare opportunity to see two animation and cinematography exhibits with ties to Evergreen alumni. This fall, the Portland Art Museum and the Northwest Film Center celebrate Animating Life: The Art, Science, and Wonder of LAIKA, a groundbreaking view into the visionary artistry and technology of the globally renowned animation studio. Sarah Spink and Tommy Schatz-Thompson are two of the Evergreen alumni who have worked for LAIKA, and I had a moment to speak with them and learn how Evergreen prepared them for LAIKA. 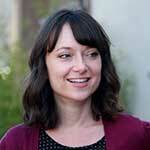 Sara graduated from Evergreen with an emphasis in visual art and animation. Since graduation, Sara has earned her Masters’ of Fine Arts in Animation and Digital Arts from the University of Southern California. Sara credits Evergreen for helping her land her “dream Job” at LAIKA, where she spent five years working in Rapid Prototype and as a Puppet Painter on Boxtrolls, Kubo and the Two Strings, and LAIKA’s Film 5. Sara recently began her new career as Animation Senior Computer Technician at NYU Tisch School of the Arts. A: LAIKA is known for pushing the boundaries of stop-motion animation. In order to bring these stories to life, you worked with a community of writers, artists, inventors, technicians, and craftspeople. How did Evergreen prepare you to work effectively with such a diverse team? S: The learning structure at Evergreen really prepared me for LAIKA. While seminar and group projects helped sharpen my communication skills, the academic freedom taught me how to take responsibility for my work. On top of that, Evergreen attracts such an interesting and diverse mix of people. A: Did you have a favorite professor or mentor during your time at Evergreen? S: I had this amazing professor named Ruth Hayes. She always encouraged and challenged me to do more, and she is just such an innovative spirit. I also worked with a really professional team in the Media Lab while I was a student, and I can honestly say that nothing has prepared me for the professional world and my job at LAIKA more than my work and educational experience at Evergreen. A: Any advice for students interested in pursuing a career in animation? S: First, take advantage of internships. It’s a great way to explore and learn what it’s like to work in a studio. LAIKA has a great internship program, and there are so many opportunities across the country. You just have to be willing to reach out and ask for them. Over the years, I’ve learned that people are usually happy to talk to you and share their experience and advice. 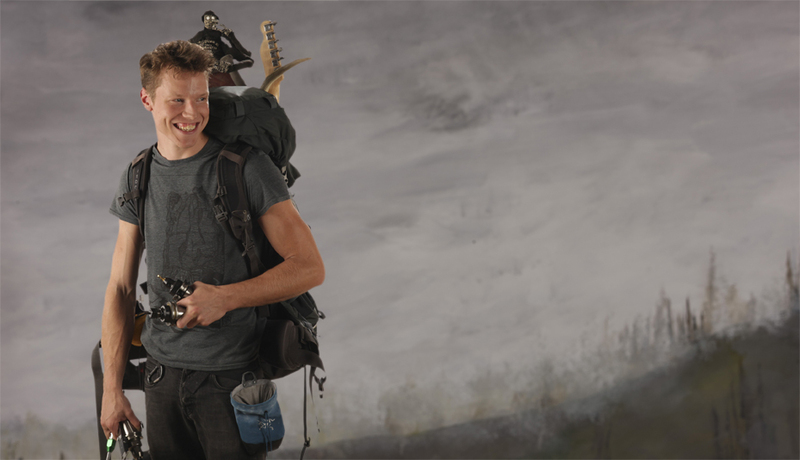 Tommy graduated from Evergreen with a background in Media Production and Stop Motion Animation. 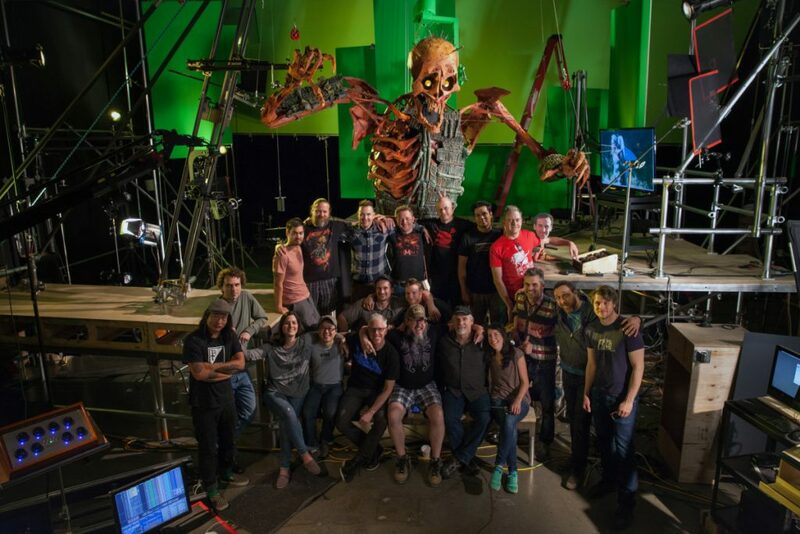 After spending the last four years working on LAIKA’s Kubo and the Four Strings and LAIKA’s Film Five, Tommy is gearing up to begin a new job in Atlanta, Georgia with Bento Box Entertainment. A: LAIKA is known for pushing the boundaries of stop-motion animation. In order to bring these stories to life you worked with a community of writers, artists, inventors, technicians, and craftspeople. How did Evergreen prepare you to work effectively with such a diverse team? 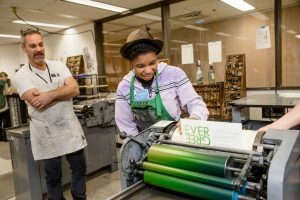 T: The interdisciplinary experience at Evergreen brought a number of elements into one academic program: the media work, the writing, and the opportunity to work closely with your peers. At LAIKA, we combine many different fields and skillsets into one big studio, and it is amazing to see the finished product at the end. In that way, my work at Evergreen was very similar to my experience at LAIKA. T: My favorite professor was Ruth Hayes. She taught Media Works, which was my first program, and she is actually the reason I’m at LAIKA. I originally planned to do other work such as shooting media, but Ruth introduced me to animation and changed my direction. Another mentor of mine was Peter Randlette, the Director of Electronic Media. He was a big source of guidance and emotional support during my time at Evergreen. T: The number one way to break into the industry is by meeting people. Be willing to relocate and try new things. Most of the jobs that I got were from meeting people at current jobs and following the opportunities. After working in the industry, I’ve come to understand that it’s all about timing. And remember, whenever you land a new job, always work your hardest so that you can stand out. 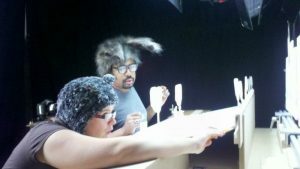 This exhibition features two videos by Evergreen Graduate Rodrigo Valenzuela ’10 . Each explores a specific aspect of labor. Prole (2015) follows a group of Spanish-speaking men discussing the way they work, and their views on union organizing. Valenzuela’s newest work, The Unwaged (2017), debuts in this exhibition and examines the situation of the unpaid intern in today’s workplace. The video will be a compilation of interviews with people who have worked for free with the promise of a career-building experience. Register and read more about the other stops on the Greener Road trip ! Have you ever wondered what Evergreen would be like if it wasn’t called “Evergreen”? What if you told people you graduated from The Totem State College? The Washington State Capitol College? The Cascade State College? Evergreen State College” be the name. Carried. People gather to discuss the future of Evergreen in its early days. The new exhibit, titled “The Surface: On and Beneath” will be the first major exhibition of Evergreen’s Andy Warhol Photography Collection donated to the college in 2010 by the Andy Warhol Foundation. Comprised of more than 130 photos, Andy Warhol’s photography will be presented alongside work from 20th century artists including Diane Arbus, Judy Dater, and Edward Weston. 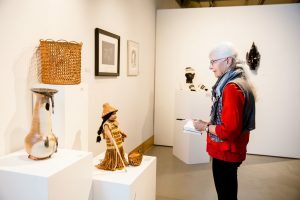 The public is welcome to enjoy a free self-guided tour of the exhibit in The Evergreen Gallery from January 18 – March 16. See more photographs and read on about the collection here. 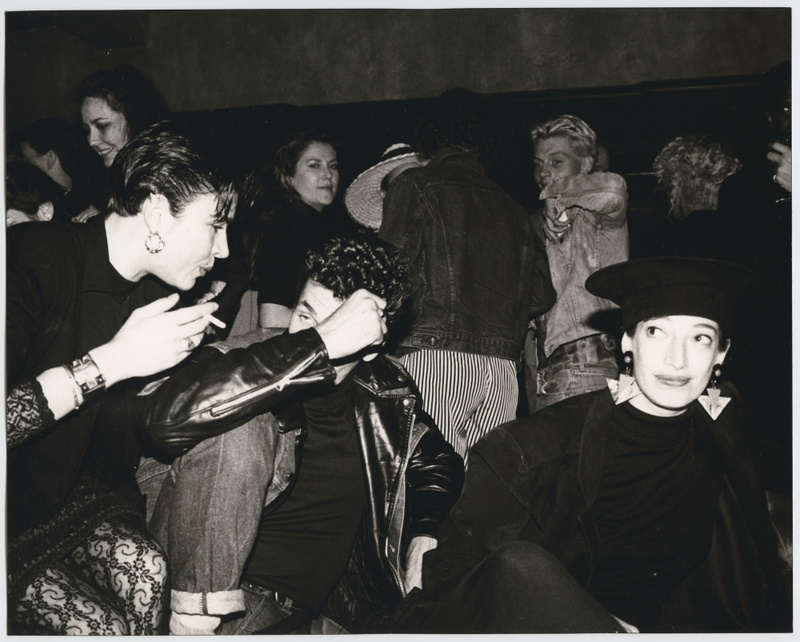 Andy Warhol, Marcus Leatherdale and Unidentifed Men and Women. © 2017 The Andy Warhol Foundation for the Visual Arts, Inc. Licensed by Artists Rights Society (ARS), New York. After viewing the Warhol collection, venture down to the 1st floor of the Library building to see a companion exhibition in Galerie Fotoland. Here you can view portraits captured by Dorthea Lange, perhaps best known for Migrant Mother. These lesser-known portraits of depression era Thurston County are considered some of her most poignant work and should not be missed. 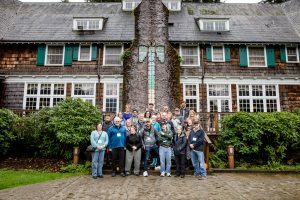 Thank you to all who attended Return to Evergreen over the weekend of November 3-5, 2017! Return to Evergreen, our premier annual alumni event, gathered Evergreen alumni and friends from every graduating class for a day of fascinating experiences and great people. This year we celebrated 50 years since Evergreen’s founding during this incredible weekend of immersive and interactive events, sessions, workshops, happenings and parties. Close to 650 people participated in Return to Evergreen events this year! Edmond Lapine ’08 was one of thirty-six people who died in a warehouse fire in Oakland, CA last year. Proceeds funded a scholarship in his name. The night featured Selector Dub Narcotic, Tender Forever, and Alex R. Puckett with DJ Spin’nkre. 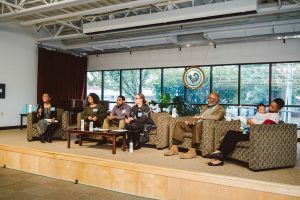 A panel of distinguished members of Evergreen Tacoma’s campus – faculty, students and community members – discuss how to serve Tacoma’s diverse community while participants feast in a seminar-style brunch event. 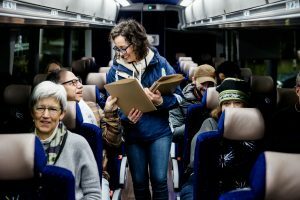 We offered a unique event this year: a venture to the Olympic National Forest to learn with Evergreen faculty, Longhouse staff, and Quinault tribe members about Indigenous communities, public land and climate change. The excursion was completed with a locally-caught salmon lunch. Click here for a complete list of the Saturday sessions. Click here for a complete list of all the speakers. Click here for more pictures of the Saturday Sessions. 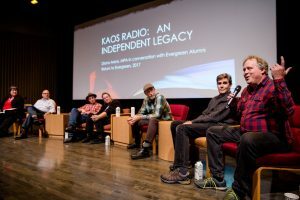 A panel, facilitated by former Program Director Diana Arens ’93 MPA ’15, talks about KAOS, Evergreen’s radio station. 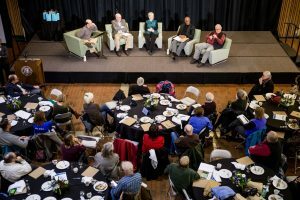 Attendees feast over brunch while listening to an oral history of Evergreen’s early days, given by Sam Schrager, David Marr, Nancy Taylor, Ernest “Stone” Thomas, and Larry Eickstaedt. Participants have fun making their own projects in a printmaking workshop. 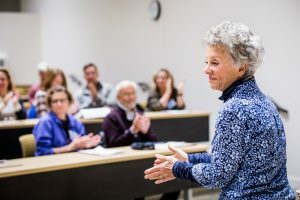 Stephanie Coontz, a faculty emerita and returning speaker, talks about which myths about “traditional” families have and have not changed since she published her book, ‘The Way We Never Were: American Families and the Nostalgia Trap’, twenty-five years ago. Participants tour the Tears of Duk’Wibahl exhibit in the Evergreen Gallery, experiencing Indigenous art as part of a session led by Laura Grabhorn, Longhouse Assistant Director. Tanner Milliren ’14 and Daniel Cherniske ’15, green builders, talk about sustainable living in the Pacific Northwest. 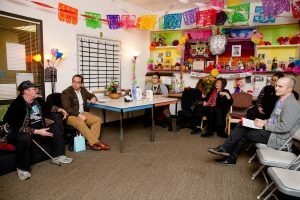 The Trans and Queer Center offers a session introducing the Center, which was established in Fall of 2016. The Sip and Savor Social Hour is a great opportunity for alumni to mingle with faculty. 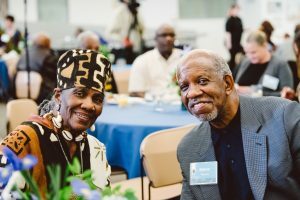 Dr. Ernest “Stone” Thomas [right] with Dr. Maxine Mimms, emeritus faculty and founder of Evergreen’s Tacoma Program. Moderator of the panel, Gilda L. Sheppard [left], with Managing Director of Evergreen Tacoma, Tenzing Gyatso. Thank you for sharing your stories, enthusiasm, and love for Evergreen with us on this memorable weekend! Leave your own pictures in the comment, and check out more on the Return to Evergreen Facebook page. If you missed out this year or if you want to participate again, make sure to come to Return to Evergreen 2018! With the help of StoryOly, anyway! The story slam event, founded by Elizabeth Lord ’95 and Amy Shephard ’09, will be teaming up with Evergreen Alumni Programs for a special kick-off event on Friday November 3rd at 7:30pm. Elizabeth Lord ’95 will offer an Evergreen-themed storytelling party. 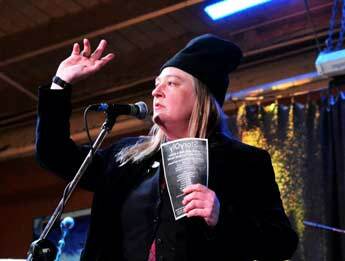 You’ll love opening the weekend with this special storytelling party in downtown Olympia. Laugh and learn as fellow alumni tell their Evergreen stories, or take the stage to tell your own! Rhythm & Rye. No registration required. Suggested donation is $10. Cash only at the door. If after this kick-off event on Friday you still don’t feel ready to share your story, polish it up with a session led by Elizabeth Lord on Saturday November 4th at Return to Evergreen. Then you’ll surely be prepared for your next story slam! Join Elizabeth Lord ’95, Professional Talker and co-founder of Olympia’s premiere storytelling event, StoryOly, for an interactive session. Learn the basics of compelling live, oral, performative storytelling. Discover how to shape a personal experience or memory into a captivating oral narrative and recall all of your story’s details without memorization. Learn what works when telling to an audience─and what doesn’t work. You will come away with a tale to tell, whether for friends and family, or on stage at the next StoryOly event. Elizabeth Lord fell in love and grew a passion for oral storytelling and traditional folktales while studying at Evergreen and earned a degree in Folklore and Theater in 1995. 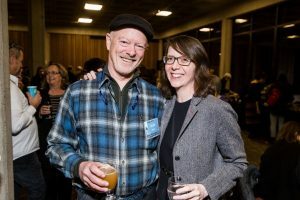 She joined the Olympia Storyteller’s Guild in 1992 (now known as the South Sound Storytelling Guild) and in 1996 began storytelling professionally. 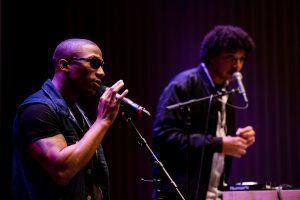 Since then she has performed for numerous organizations and groups both public and private throughout Western Washington. She is one of the hosts of Olympia’s popular monthly storytelling event, StoryOly, where community members come together to share, compete and tell true stories based on a monthly theme. Even after the many sessions, workshops, and seminars on Saturday, November 4th, the Return to Evergreen weekend won’t be over just yet! A brand new brunch with and alumni panel will be offered on Sunday, November 5th, at the Tacoma campus. The event is a seminar with a panel of members from Evergreen Tacoma’s community. 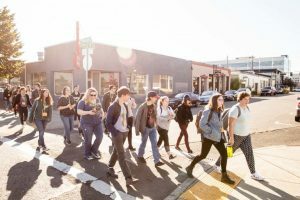 Alumni and friends of Evergreen Tacoma will love this opportunity to connect with one another and discover how alumni, students, and faculty embody the motto “Enter to learn; depart to serve” in their daily lives. Gilda L. Sheppard, PhD is a member of the faculty in sociology, cultural and media studies at The Evergreen State College—Tacoma. 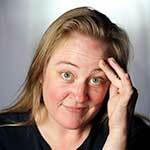 She has received local, national and international academic fellowships in media arts and sociology. She has taught internationally at colleges in Ghana, West Africa. In addition to teaching in the Tacoma Program, Gilda currently volunteer teaches college level courses at several men and women’s prisons in Washington State. Oftentimes Gilda bridges learning opportunities between her incarcerated students and her students in the Tacoma Program. She is an award winning filmmaker who has screened her documentaries in USA, Ghana, Berlin and the Cannes Film Festival. She is currently in post-production of her documentary Since I Been Down about the transformative role of education and activism led by incarcerated men and women in Washington State prisons. Monica began her career with the Washington State Patrol (WSP) in 1996 as a Trooper Cadet. She was commissioned as a WSP Trooper on May 1, 1998. Monica spent many years as a line trooper and sergeant working the South Seattle freeway. Currently Monica serves as the Captain of Government and Media Relations, where she is the legislative liaison for the WSP. During Monica’s career she received numerous honors and awards including the Educational Excellence Award from the Washington Traffic Safety Commission. In 2003, Monica was inducted into the Tacoma African American History Museum for her service to the community and her work with the WSP. In addition to her duties as a trooper, Monica was the traffic reporter for KOMO-TV for six years. Monica is the first and only African American female to be promoted to the rank of Sergeant, Lieutenant and Captain in the history of the WSP. 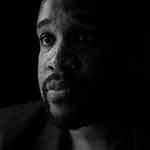 Powered by cheesecake and long hikes including ambitions to write for The New York Times, Jason tutors other writers at the Evergreen Tacoma Writing Center by combining his love for language with a strong need for justice. His major areas of study consists of political economy and media studies which reinforces his core values of equity, empathy, and self-expression. He lives in Tacoma, Washington. 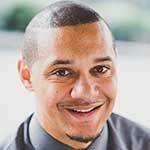 Born in Madisonville, Kentucky, Cleven James Ticeson often quips that he is “Kentucky bred, but Washington fed.” A Northwesterner through and through, Cleven is a graduate of Garfield High School in Seattle and The Evergreen State College in Olympia. He was recently recognized for 40 years of service to KCTS 9, where he has worked since 1974 in a variety of capacities, from copywriter, actor, and floor director to his present position of senior post-production editor. Over the years Cleven has received more than a dozen regional Emmy® honors, and earned national Emmy® recognition for his work on the documentary, Eli Creekmore. Cleven was an actor early in his career. From 1970 to 1973 he was part of the original national touring company of HAIR: The American Tribal Love-Rock Musical, for which he was the understudy for the character Hud. He married Connie Bacalzo in 1972—she jokes that it was between performances of HAIR— and they have four adult children and nine beautiful grandchildren. Cleven is committed to education. He was a co-founder and board member of the Seattle Central College School of Applied Sciences and served on the college’s technical advisory board. 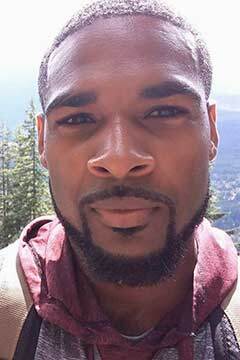 He also served as an instructor in the Media Literacy Program at Seattle Vocational Technical Institute. A sought-after speaker and lecturer, Cleven served as vice president of the Seattle Chapter of the Majestic Eagles, founding director of the Seattle Chapter of Power Learning Systems, a past-representative for the Inter-Faith Council of Seattle, and has served as chair of The Bahá’ís of Seattle. Carol received her BA from The Evergreen State College with an emphasis in Community Development in 1996 as a single parent and after 12 years of working full time and attending school part time. Carol is married to Greg Piercy, Operations Manager of the Hilltop Artist Glassblowing program and has 2 children, Catherine Wolfe and Jacob Piercy. Her daughter Catherine is a recent graduate of the Cooper Union College in Manhattan with a degree in Civil Engineering and will be continuing to earn her Masters at Cooper while working for the Manhattan Transportation Authority. Jacob will be entering the 6th grade a Mason Middle School in Tacoma. Precious Yarborough is a Seattle native who grew up in South Seattle and the Renton/Skyway area. After having her first 3 children, she became deeply concerned with the lack of culturally appropriate birth support and educational resources available for Black and brown families. She also noticed the need for a community space that centered Black women. Fueled to fill these needs, Precious co-created 2 organizations she nurtures with passion; Puget Sound Birth Professionals of Color (PSBPoC) and Black Power Circle. After her first doula training, she and 2 other birth workers created PSBPoC as a networking and referral service that connects families of color to birth professionals of color. Black Power Circle is a support and empowerment group for Black women and children, where community news and resources are shared. 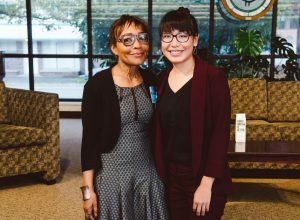 After graduating from The Evergreen State College—Tacoma, Precious plans to combine her love of birth and community support with social justice initiatives to bring more birth support and resources to Black and brown families in the Pierce County area. Classes are well underway on campus as students and faculty get settled into fall quarter. The recent orientation for new students included a common reading of Just Mercy: A Story of Justice and Redemption by Bryan Stevenson. The autobiography chronicles Stevenson’s early years as an attorney for the nonprofit he founded, the Equal Justice Initiative. After reading the memoir over the summer, students had the opportunity to seminar about it throughout Orientation Week and then come together at the convocation event Dig Deep: Introduction to Your Education, which centers around a keynote panel of experts who discuss themes presented by the book. 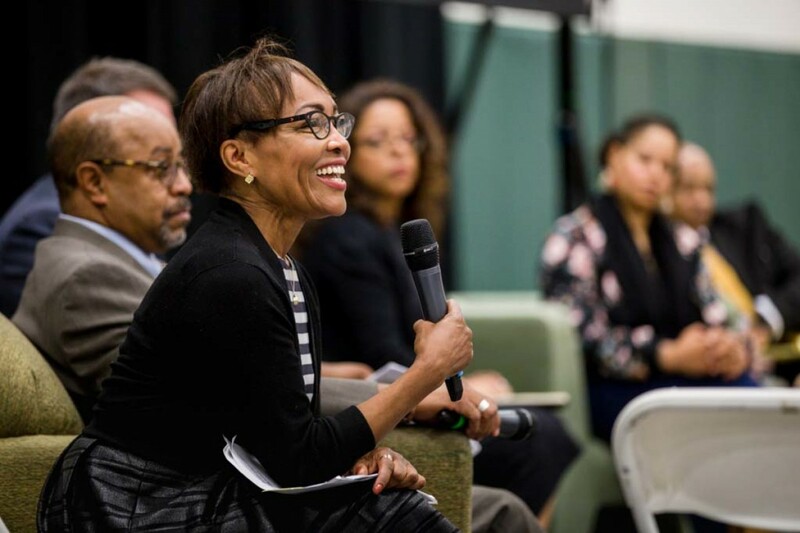 Gilda Sheppard, PhD led a panel of experts who spoke on the themes of Bryan Stevenson’s “Just Mercy”. Has distance made your heart grow fond for seminar? 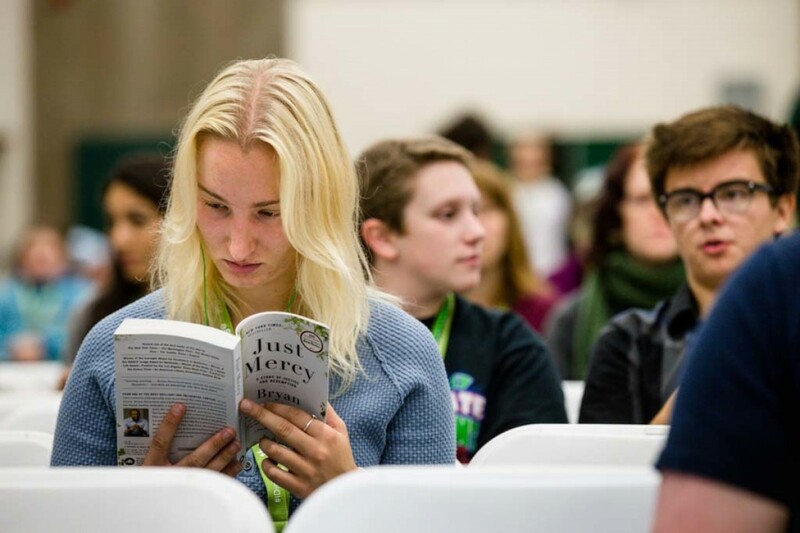 Alumni don’t have to miss out on an intellectually-stimulating conversation: this year’s Return to Evergreen includes a seminar on Just Mercy! Dig deep with fellow alumni and friends on Saturday, November 4th for a lively seminar led by faculty member Rebecca Chamberlain and faculty emerita Susan Fiksdal. Described as a “powerful true story about the potential for mercy to redeem us, and a clarion call to fix our broken system of justice—from one of the most influential lawyers of our time,” your facilitators will provide context and quotes from the text and help you explore several topics related to our existing justice system, how it fails, and ways to make real lasting change. You will receive a copy of the book so that you can explore the themes from our seminar in depth. Rebecca Chamberlain earned a B.A. in English from Seattle Pacific University and an M.A. in English from the University of Washington. Her expertise is in comparative literature, writing, and oral narratives. A Northwest writer, storyteller, educator, and activist, her publications include poetry, essays, articles, research, and curricula. Her interdisciplinary work explores culture, language, and communications; folklore and mythology; astronomy and cosmology; natural history, environmental, and outdoor education; arts in education; and contemplative practices. She has published papers with Evergreen students on subjects as diverse as binary star research and citizen science, and with Salish elders on language, culture, and sustainability. Her poetry has been featured in international journals. 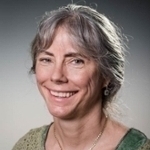 Rebecca has been teaching at The Evergreen State College since 1996, and has served on the on the Board of Governors for The Evergreen State College since 2011. Susan Fiksdal first came to Evergreen in 1973 with a M.A. in French from Middlebury College in Vermont. 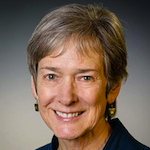 She taught Linguistics and French language classes, and later served as Academic Dean at Evergreen. After eight years of teaching, she had many questions about language and went on to study at the University of Michigan and received a Ph.D. in Linguistics in 1986. Her second book, A Guide to Teaching Seminars: Conversation, Identity, and Power, was published in 2014. 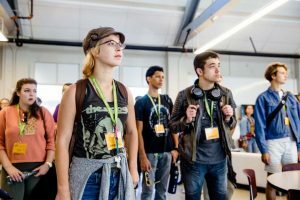 Before Orientation Week, a group of about fifty new freshmen arrive on campus ahead of their classmates to participate in leadership, conflict resolution, and community service activities in a program called the Evergreen Student Civic Engagement Institute, or ESCEI. The fifth annual class of ESCEI students came through recently to commence the new school year. Students in this program commit to assigned reading, radio listenings, volunteer activities, workshops, performances and field trips to prepare for their education at Evergreen. Alumni play a major role throughout the week as they lead students through workshops and local tours. New Greeners learn from Alumni. In addition, Ellen Shortt Sanchez ’92, director of Evergreen’s Center for Community Based Learning and Action (CCBLA), worked with the nonprofit Books to Prisoners to organize a volunteer session sending literature to under-served incarcerated people. 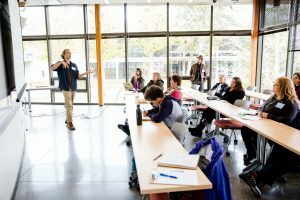 Evergreen’s mental health therapist Jamyang Tsultrim ’92 helped lead a lesson on self-care through a shinrin yoku, a meditative walk through Evergreen’s forest. Delbert Miller ’96 led teachings and stories as an elder and spiritual leader of the Skokomish Tribe. 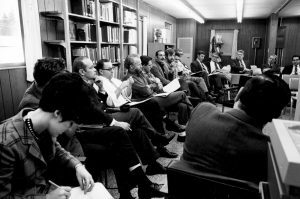 The institute was inspired by Evergreen Trustee and donor Fred Goldberg, who felt strongly that civic engagement and civil dialogue should be integral aspects of a college education. ESCEI was launched in 2013, thanks to Goldberg’s generosity. The institute gives students alternate paradigms to the often-polarized and frustrating levels of American discourse. Students depart the institute ready to deeply engage with their education and their community. As a matter of fact, the requirements include carrying out a community service project of their choice into Fall Quarter. This could be a continuation of volunteer work started during the week or other work that students are passionate about; done in groups or individually. The group reunites in November to share projects and reflect. If all coursework is completed and satisfactory, participants receive two credits. The first of many! If you are interested in supporting the Evergreen Student Civic Engagement Institute, contact escei@evergreen.edu. 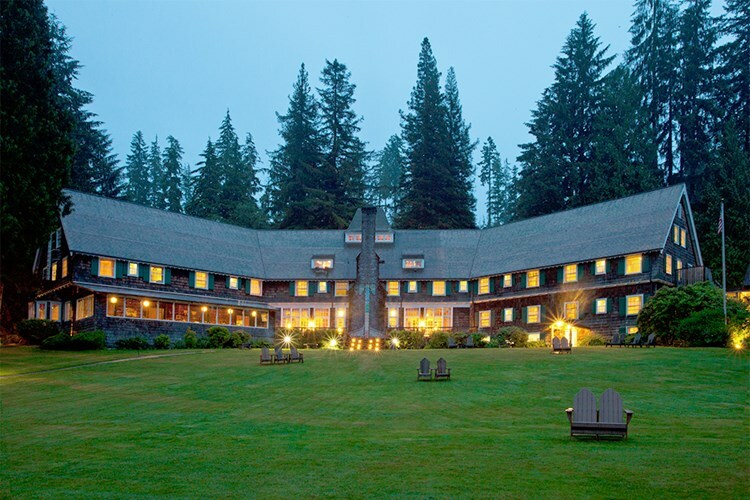 Secure your seat now: Lake Quinault getaway! 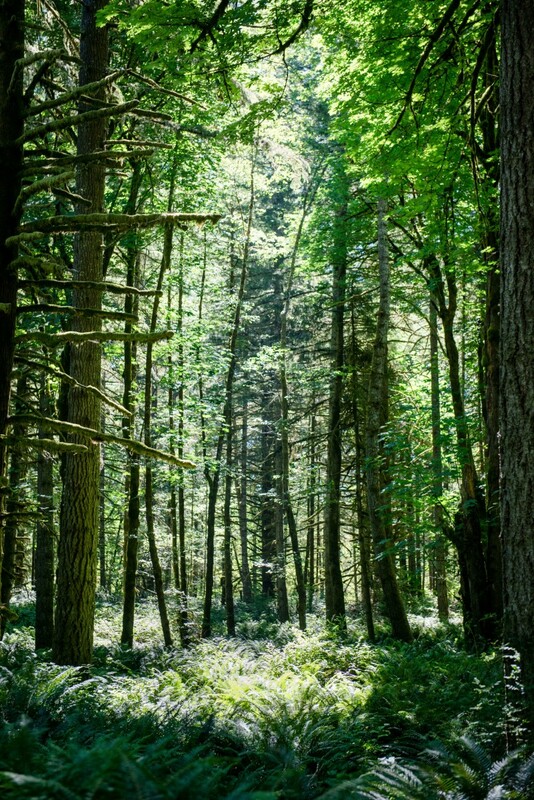 Venture into the beautiful Olympic National Forest on Sunday, November 5 for a rare look at this remote region. You will explore the intersection of indigenous communities, public land, and climate change on this truly unique excursion led in partnership with the Longhouse and Evergreen faculty. Relax on a comfortable charter bus with alumni, family, and friends, dine on lunch of local caught salmon, and escape the ordinary with a field trip unlike any you’ve experienced before. Read on for more details or claim your seat now! Enjoy coffee and treats while you mingle with fellow alumni, family, and friends. A U.S. Forest Service Guide will greet you in the lobby with refreshments and a colorful history of the lodge. During lunch, dive into the history of the region with local tribal members. Relax on the comfortable ride home as you sample craft beverages and snacks. Space is limited for this field trip, register now and secure your spot!